Should you cancel your American Express Gold card? I get quite a few emails from holders of the American Express Preferred Rewards Gold credit card asking what they should do after their first year. With the recent changes to the American Express sign-up rules, which mean that you can no longer cancel your Gold card and reapply six months later (you now need to wait 24 months to get a fresh sign-up bonus), it is worth thinking about whether holding the card long term is a better approach. This article was amended on 16th April to reflect the change to the sign-up bonus. What are the benefits of signing up for Amex Gold? You receive 10,000 American Express Membership Rewards points after you spend £3,000 in your first three months. These convert into 10000 Avios, 10000 Virgin / Emirates / Etihad / Flying Blue etc miles, 20000 Hilton Honors points, 15000 Marriott Bonvoy points, 30000 Radisson Rewards points or many other things. Full details of the card, and the application form, are on the American Express website here. In order to qualify for the sign up bonus, you cannot have held any personal American Express cards in the past 24 months. Cards issued by MBNA or Lloyds Bank do not count. I am legally obliged to tell you that the representative APR is 57.6% variable, including the annual fee (free in year 1), based on a notional £1,200 credit limit. The interest rate on purchases is 22.9% APR variable. After the first year, you need to make a decision about whether to keep the card or not. Many people baulk at the idea of paying the £140 fee, especially if they are not used to paying fees for credit or charge cards. Whilst the easy answer to those readers who contact me would be ‘cancel’, it is worth looking objectively at the ongoing package – especially if you are not the sort of person who likes to churn his or her card portfolio regularly. If you spend £15,000 on the card in your membership year, you will receive a bonus of 10,000 Membership Rewards points about four weeks after you renew. In the most extreme case (ie you spend exactly £15,000 per year) this makes your earning rate on the card 1.6 Membership Rewards points per £1, made up of 15,000 base points and the 10,000 bonus points. This is an impressive earning rate – in fact, it would be the best earning rate of ANY travel rewards credit card. Even if you are determined to cancel the card, it would be madness – if you had spent £15,000 – not to wait a month until the bonus arrives. You will get a pro-rata refund of the 2nd year fee when you cancel, which will only be about £12 by that point. You receive another two airport lounge passes when you renew. These are worth around £40. It would be odd to cancel your card at renewal if you knew you were travelling in the next month or so and could use the Lounge Club cards. Roll your Amex Gold over – you still have the option of cancelling later after your lounge visit. 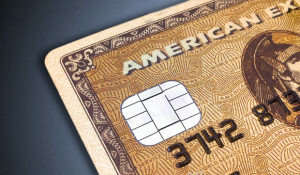 You retain access to the other, often forgotten, Amex Gold benefits. The most interesting is ‘The Hotel Collection’ programme – details here. This gives you an upgrade and up to $100 equivalent credit when booking a 2+ night stay at participating upscale hotels. Chains taking part include Radisson Blu, Omni, Kimpton, Hilton, Sofitel and many more. There is also a 10% Amex Gold Hertz discount, although I admit this can probably be matched by other deals you can access. If Preferred Rewards Gold is your only American Express card, you retain access to the wide range of Amex cashback deals which are permanently available. Even if you do have other Amex cards, you can double up on deals which interest you if you have multiple cards available. You retain access to the refer-a-friend programme which earns you 6,000 Membership Rewards points for each new American Express cardholder you sign up. You will receive the referral bonus even if the person you refer does not qualify for a sign-up bonus. If you spend a lot on flights, the ‘double points on all airline spend’ benefit will add up. You don’t need to book via Amex Travel to get this, it is automatic for spending on all airlines. There are other ways of accessing some of the benefits above, of course. The Amex Rewards Credit Card will keep your Membership Rewards points alive. I also accept that, if you don’t spend £15,000 per year to trigger the 10,000 bonus points, the maths probably doesn’t work unless you use ‘The Hotel Collection’ programme and the airport lounge passes. If you do spend £15,000 to trigger the annual 10,000 Membership Rewards point bonus, however, there ARE merits for keeping your Amex Gold card open long term. I just wondered whether you get any points for adding a supp to the free BA card or the nectar card? Honestly I can’t agree with this article. If you don’t have that high spending, you can simply cancel the card and re-apply, with the annual fee waived for another year. The other reasons are nonsense. Apparently, the 5th reason was just made up to have just ‘5’ reasons. This isn’t the typical high quality article as I always see on this website. very disappointing. The last line says that if you don’t spend £15k per year it makes less sense. There is also zero proof so far that Amex allows you to cancel and immediately reapply. I actually did it. Cancelled gold last month, re-applied last week and got instant approval. This may somehow destroy the credit report, but is at least a workaround. It’s not going to destroy your credit report, as nobody cares about those searches after about 6 months, and they disappear from your report completely after 2 years. Apart from instant approval it is unlikely you will get accepted straight away as a friend cancelled before the notification of the 24 months change and applied again as they would have kept the gold if they had known, declined this time around. The 5th reason is the most underrated benefit, last year just on my gold card and its supplementary card I saved £200 on Marriott, £80 on Shop Small, £90 on various Wilko, Tesco, WH Smiths and Boots offers. Most savings for me were in the Sep-Dec period. I’m amazed how good the Club Lloyds offers are. They have much better offers for day-to-day stuff than Amex. day to day stuff most of us would sniff at? give examples of these great offers? 10% cashback at Waitrose; 10% cashback at Morrisons; 10% cashback at Wickes. Various offers for pubs.Cashback at Starbucks (only never got Nero with Amex), Robert Dyas etc. As one off or for a prolonged period? 10% Morrisons before Christmas with Amex was superb for a month. Interesting – I had a Santander card a couple of years ago and never got anything useful on it at all, I think about two offers in total! @Shoestring Halifax is owned by Lloyds so that make sense; the Waitrose and Morrisons are fairly regular. @Alan The Club Lloyds account is free if you despot £1,500 each month; so well worth opening an account just for the offers. This month I’ve got offers for grocery/diy/and 3 pub chains all for free! I should add that when Amex and Lloyds run an offer for the same store Lloyds nearly always comes off as best. For example both Amex and Lloyds are currently running a offer for Byron. The Lloyds offer is 10% cashback with no minimum spend; whereas the Amex offer is 5% back and has a minimum spend of £35. Would Virgin Holidays be classed as Airline spend? A BA Holiday booking is. But that is booked through the BA site. Virgin Holidays is, IIRC, an independent Tour Operator, nothing to do with Virgin Atlantic Airlines. Only definite plan is Las Vegas, but other than that I’m flexible. I have Avios & Virgin FC, and a few Amex MR, and some Tesco that I can convert. Also have a Lloyds cabin upgrade voucher, and will have a Virgin upgrade voucher. I haven’t got lots of points in each one, but probably enough for one return for each of the programs. Any tips for good-value redemptions please? Position in a non APD airport, eg Jersey or Inverness? yes, will consider that thanks. I’m Midlands based, so not quite as easy to get to these places from what I can see. how about getting 90K cheap Avios points on Iberia (about £250)? huh? is this the Iberia 90k promo last year, or something else? There are lots of airports within a few hours drive of Vegas. Might be worth looking at one of those. He’s on about last year’s Iberia promo. @peter – ok yes thanks – bought them and spent them already!! Never did get to go to Santander though! Travelling solo to meet others!! Seems like my question was asked about 12 hours too early considering this mornings article. Very timely article, Rob. I had stopped using mine (to focus spend on my new BA card and to avoid the fee) but since I’m very close to the bonus spend so I’ll continue. I’d forgotten about the pro rata refund! If you have bought anything with the gold where you want the Amex extended warrenty to apply (computer, cell phone, etc. ), it no longer applies to that item, even if you have other AMEX cards if you cancel the gold card. So if you can cancel and reapply, even say 4/5 months later, can the Mrs still earn 9000 points for the referral? Do I have to wait for my anniversary 10k bonus to arrive before upgrading my Gold Charge to Plat? Or will it track either way? To explain, I hit the £15 spend before my anniversary in March. I now want to upgrade my Gold charge to Plat charge, but don’t want to lose out on the 10k MR points which haven’t yet tracked. You will need to wait until the 10k has hit, which is roughly 30 days after renewal (Amex says 60 days but in my experience it is 30). Would I have to move out my MR points from Gold account before upgrading to Plat? No. That’s not how it works. Your MR account is totally separate to your cards and unlimited numbers of cards can feed into it. Amex gold changed their sign up bonus to 10k with 3k spend in the first three months! !